This week one of the major announcements in the touring world came from the group Danity Kane. According to an announcement from the band, the girl group is set to reunite this summer for a new tour called the “No Filter” tour. All of the original members of the group, except for member D. Woods will be coming back together for a new coast-to-coast tour. Members of the band will be coming back together after breaking up in 2009 following the success of hits such as “Damaged.” The band will officially kick off their tour in May and will travel around to several major cities such as St. Louis, Philadelphia and Cincinnati during this outing. Tickets are on sale now and available to the public for those who are looking to see this new concert event live. Stevie Nicks said it wouldn’t happen. 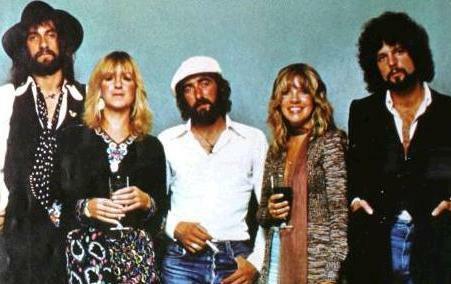 No one believed Christine McVie would reunite with Fleetwood Mac for a reunion tour. But just days ago Fleetwood Mac announced their reunion tour dates with Christine McVie. After quitting the band in 1998, McVie is back to tour with the band in September and even possibly put out a new album. before the general public beginning today, March 31 at 10am, through Sunday April 6pm at 10pm. The general public will be able to buy their tickets beginning April 7 Monday through the Live National mobile app as well as Live Nation’s website. Tickets went on sale Friday, March 21 for what promises to be the hottest rock tour of the summer. Kiss and Def Leppard are joining forces and will plow through 40-plus cities throughout North America starting with Salt Lake City, UT at the USANA Amphitheater on June 23 and closing in Woodlands, TX at the Cynthia Woods Mitchell Pavillion on August 31. Together on March 17, the groups announced the tour from the House of Blues in Los Angeles and couldn’t be more amped to start the tour. This has been a tour in the works for over two years now back when Def Leppard’s lead singer, Joel Elliott, and Kiss’ Gene Simmons first tossed around the idea of going on tour together while they were both performing on a rock-and-roll all-stars tour in South America. Elliott stated, “It’s finally happened, which is fantastic.” Fans couldn’t agree more. Both bands will get equal playing time so fans will be guaranteed a good time with great music. This week the country duo, Florida Georgia Line made a major announcement regarding their upcoming tour plans. The duo revealed that they will be performing in a ballpark outing alongside Nelly as part of their new North American tour. The band collaborated with Nelly on their hit song “Cruise” last year and will now be performing alongside the rapper for nine initial shows. These shows will be part of the “This Is How We Roll” summer series of performances. These shows begin on May 30th in Springdale, Arizona and the duo will stay on the road throughout June 22nd with a show in Asheville, NC. According to the band, they will be adding more shows in the coming week. The band will also be touring for much of the summer with Jason Aldean. Tickets are on sale now for the band’s latest tour events. However, one of the biggest announcements of the week came from a joint announcement from Queen and Adam Lambert. The former American Idol contestant has been joining forces with the remaining member of the iconic rock band for a new arena tour. The announcement revealed that the acts will be taking the road for an arena tour that will visit major locations in the US and Canada this summer. This is not the first time that Lambert has joined up with the band. Eminem and Rihanna announced a tour together which will only stop in three cities at the end of the summer. Yes, you read that right, just three cities – Los Angeles, New York, and Detroit. The tour titled, The Monster Tour, will kick off at the Rose Bowl in Pasadena, CA on Thursday, August 7. Originally just one concert was lined up at each location but a second show has just been added to each city after tickets for the first show were completely sold out during the pre-sale on Facebook on Friday, March 21. Luckily, thousands of diehard fans are being granted a second chance to purchase tickets to the second concert to see the wild solo artists perform live together and individually. General ticket sales will be available for purchase starting Friday, March 28 – granted if they’re not sold out in the second pre-sale. Fans should not be too discouraged though because there are rumors going around that there may be additional cities and dates added to the tour if the demand is big enough. This week the world of Broadway was treated to several new announcements regarding the release of some exciting upcoming shows. One of the biggest announcements of the week came regarding the upcoming production of Mothers and Sons. This new production is a drama created by Tony Award winning playwright Terrence McNally. The play also stars another Tony winner, Tyne Daly, who plays a mother in the show who makes a surprise visit to the parter of her late son. This play opens this week on March 24th at the John Golden Theatre. Tickets are on sale now and available to the public and anyone who wants to see this heartwarming tale performed live. R&B music fans have also been treated to another big announcement thanks to new casting information regarding the play After Midnight. Starting this month, two new headliners will be taking on the roles in this musical event, as recording stars Toni Braxton and Kenny “Babyface” Edmonds step into the leading roles. The two performers are each Grammy Award winning artists in their own right and they will be joining the long and impressive roster of guest star vocalists for a collection of select performances. This will be Edmonds official debut on the Broadway stage, while Braxton has made several appearances before. Tickets are on sale now for those who want to see the two superstars take the stage live. This week, hit singer and songwriter Lana Del Rey made an announcement about her upcoming North American tour plans. The singer will be performing next month at the Coachella music festival and has just revealed that she will be following up the concert performer with a North American tour. After performing at Coachella on April 13th and April, 20th, Lana Del Rey will head out to 17 different major market tour stops, including two performances in Canada. The singer will kick off the tour immediately after the Coachella music festival and will stay on the road through May 27th, where she will wrap up her jaunt in Seattle, Washington. The tour will be promoting the singer’s upcoming album called “Ultraviolence,” which will be available on May 1st. Fans can expect to hear songs from this new album on her upcoming tour event. Fans can also expect to hear selections from the singer’s successful, chart topping album “Born to Die” performed live. Tickets for this new tour event are on sale now and available to the public. This week singer and songwriter Ellie Goulding will be heading out for a new North American leg of her “Halcyon Days” tour. This leg of her world tour will officially kick off in Atlanta, GA on March 20th and will include 22 scheduled stops while she is in the states. From there, the singer will continue touring in the UK and Australia. The singer revealed that during the tour fans can expect to hear some of her big hits such as her smash single “Lights” as well as some of her newer songs, all performed live. Tour stops include shows in Dallas, Austin, Portland, San Francisco, Seattle and more. Tickets are on sale now to see Ellie Goulding perform live. Another major announcement hit the rock world this week. This week famed rocker Beck made a major announcement about his upcoming touring plans. The singer/songwriter revealed that he will be heading out on a new tour across North America starting this summer. This new tour outing will be called the “Morning Phase” tour and it will feature some of the alternative rocker’s latest fits. Beck will begin the tour with a handful of theatre shows and festival appearances in the spring, including appearances at Edgefest and Coachella. The official summer tour will kick off on June 19th in Cleveland Ohio. So far, ten stops along the way have been revealed with even more stops planned for the future. According to the press release, Beck will be revealing the additional tour plans soon, and the outing will keep him on the road throughout most of the summer. This week it was revealed that pop singer Carly Rae Jepsen and television star Fran Drescher would be extending their Broadway run on the show Cinderella. The popular musical has been a breakout hit and now the show will extend its run through June 8th with both actresses. Originally the two women had agreed to continue shows throughout the end of the month, however they will both be extending their Broadway debuts and continue with their roles in the play. Jepsen plays the title character and Dresler player were wicked stepmother. In June, both will be taking time off from the show to attend previously scheduled engagements. This Rodgers and Hammerstein’s version of the tale has been hailed on Broadway since its debut for its comedic take on the classic tale. Tickets are on sale now and available to the public for those who want to see the two actresses in Cinderella this spring or summer. This week, the popular DJ Skrillex, announced new plans for an upcoming tour event. The performer is not only planning to “takeover” several places in the coming months such as San Francisco and Brooklyn, but he is also announcing plans for a new tour road trip. The performer has just released his latest album; a successful effort called “Recess” and is going on tour this month to promote the album. The new tour is called the Mothership Tour and it will take Skrillex around the country to several big stops including New York, Toronto and Miami. According to the announcement the tour plans on offering fans with a chance to hear some of the performer’s biggest hits as well as his new offerings in a fun party type atmosphere that is sure to impress Tickets for the event go on sale this week to the public.